A detailed and sumptuous celebration of trees and forests, by authors Gabriel Hemery and Sarah Simblet. Published by Bloomsbury in 2014, its 400 pages feature more than 100 tree species, accompanied by 200 specially commissioned pen and ink drawings. Its pages contain not merely descriptions of the appearance of individual species. . . . It is a magisterial work that combines art and history with science. . . . The book is a stimulating read, and beautiful to look at.” Jack Watkins, The Countryman. The book has won a number of awards and received wide acclaim (see a selection below). 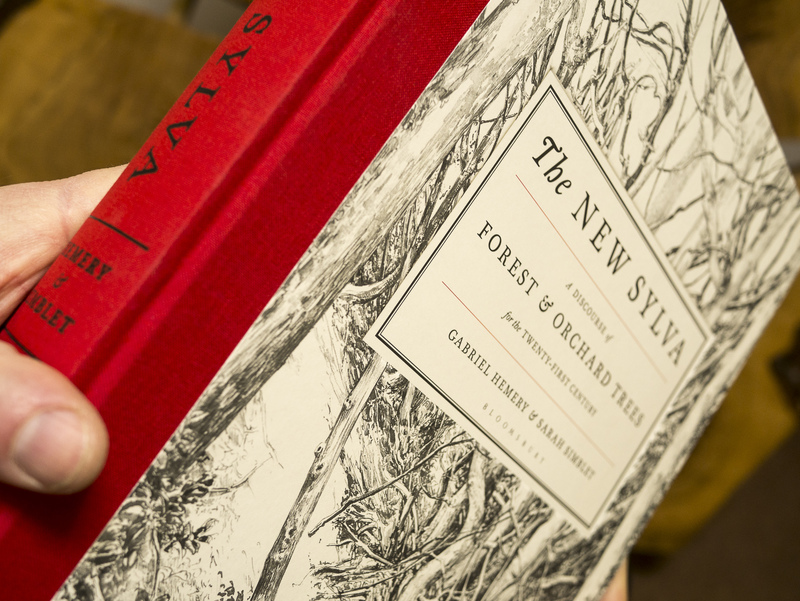 I wrote a website dedicated to the making of the book during 2012-14 (formerly at www.NewSylva.com) and now subsumed within this website, see: www.gabrielhemery.com/tag/new-sylva.